Stunning archival photographs—some never before published—reams of research, and a deft and lively narrative tell this story as if it were hot off today's headlines. Any reader of this book won't easily forget the sacrifice and struggle of women who rose to champion Susan B. Anthony's 1876 clarion call: "We ask that all the civil and political rights that belong to citizens of the United States be guaranteed to us and our daughters forever." 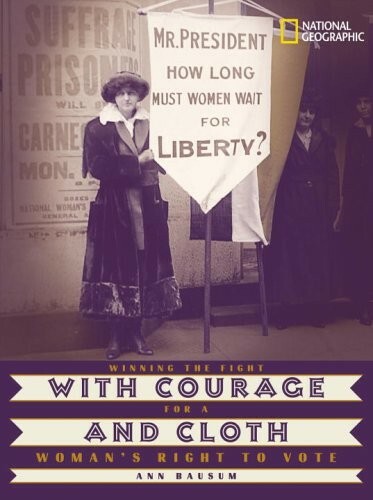 When Alice Paul helped design the banners for the National Woman's Party, she suggested three colors: Purple for justice, white for purity of purpose, and gold for courage. Bearing these standards, women took to the streets in parades and picket lines to fight for a cause they passionately believed in: that American women should be allowed to vote. It may be hard now to believe that there was ever a day in the United States when women weren't allowed to vote. But winning this right was part of a 72-year struggle on the part of thousands of women that finally culminated with the passage of the 19th Amendment in 1920. 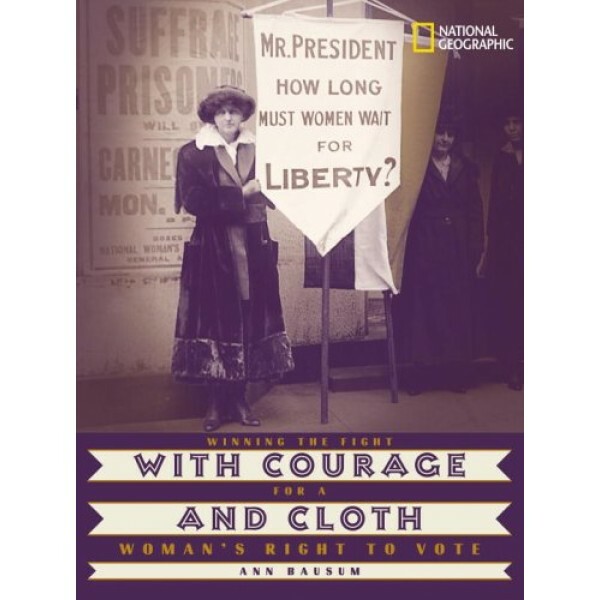 Ann Bausum gets inside this gripping story with an overview of the larger fight for women's voting rights, from Seneca Falls to state-by-state ballot battles. But it's her special focus on the less well-known story of Alice Paul and her band of unstoppable soldiers for suffrage that makes With Courage and Cloth a real page turner. These women needed courage when they set forth armed only with cloth banners. While parading, they often were overwhelmed by hostile onlookers who transformed into ugly mobs. When picketing the White House to spur the conscience of President Woodrow Wilson to fight for democracy at home as he did abroad, they were arrested and thrown in jail. They braved terrible prison conditions, rats, hunger strikes, and force-feedings, to bring their message to the world: that women, too, were created equal and they deserved to vote as full citizens under the law.